Petkin Eco Wipes for cats and dogs are a vanilla and coconut flow pack of 40 or 125 wipes. Gently wipes away dirt and odour to leave your pet feeling, looking and smelling fresh. Cleans face, ears, and body and eye area. 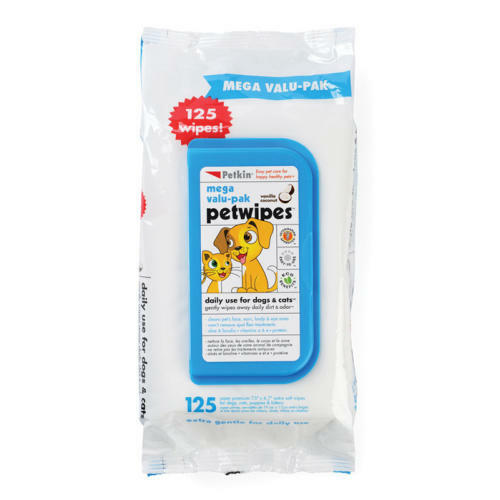 These wipes will not remove existing spot flea treatments.